P.S.- I made this… stands by the “doing well, by doing good” message. The Four Seasons Costa Rica on Peninsula Papagayo in Guanacaste, allowed us to do just that. Teen Vogue’s Andrew Bevan and I were invited to the beautiful Four Seasons property to get involved and give back to the local community in conjunction with their Growing Together program. The dynamic outreach program is designed for guests to volunteer at local schools, get involved with environmental conservation projects, as well as “adopting” local families during their stay. The philanthropic opportunities created for guests are guaranteed to make visits more meaningful. Students got their DIY on, creating messenger bags using Sharpie Stained fabric markers. 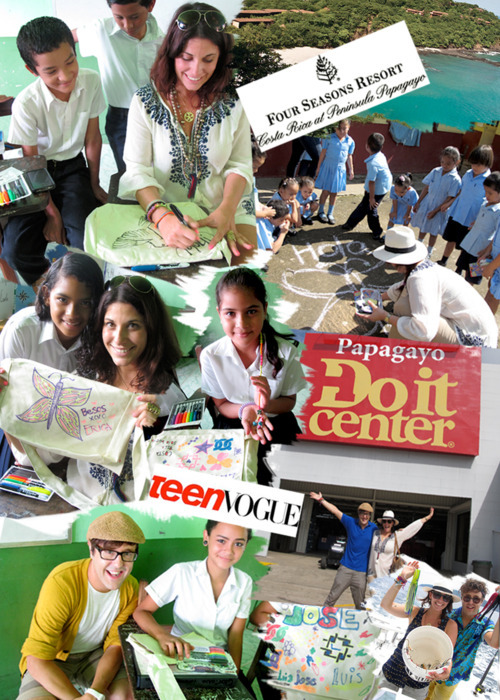 The excitement and creativity unleashed was invigorating and heart felt. The universal language of DIY and arts & crafts is near and dear to everyone. Be sure to check out the DIY PHOTO GALLERY! P.S.- CLICK HERE TO WATCH OUR DIY ADVENTURE IN COSTA RICA! In the spirit of DIY, we head out for a P.S.- made this… dinner experience. Billfish Safaris took us on a deep sea fishing excursion where we cruised alongside sea turtles, dolphins and reeled in mahi mahi that was “PS’ed” into ceviche, sushi, and sashimi. Mission accomplished for a crafty cuisine! P.S.- We kicked off the summer season by diving into DIY with Elie Tahari in their beautiful East Hampton, New York store. Inspired by their SS11 Collection, guests headed to the beach and created decedent jewelry and accessories. On a trip to the j’amazing Tahari warehouse (where all the magic goes down), I pulled rich fabrics, chic enamel buttons, and colorful elements from past collections to create with. Crafty cocktails by Kanon donned DIY beaded and braided cozies to boot! To create your own necklace that guests created at the event, CLICK HERE. All you need is some strips of fabric (we used the same fabrics as the Elie Tahari beach wraps), and beads! PS- Sign up for inside scoop, sales, and more events with Elie Tahari HERE! P.S.- New York Fashion Week was in full force for the Fall/Winter 2011 shows. I was honored to represent Tumblr as one of their most influential fashion forces, gaining access to the industry’s top tier talent that Tumblr organized along with the privilege to attend a few amazing shows. 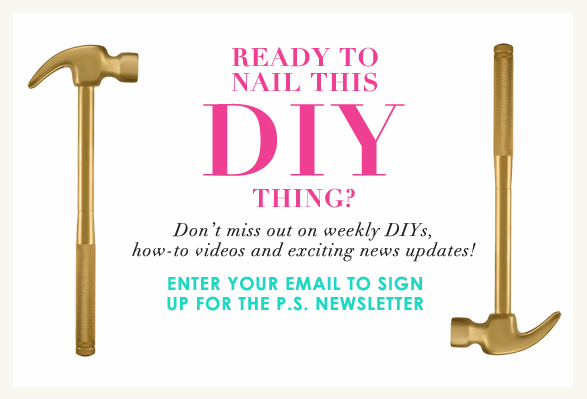 I can’t wait to get down with all of the amazing DIY’s that the week inspired! Here are some J’amazing highlights: Simon Doonan of Barney’s, gave us a sneak peak into his creative process along with a fun Q&A with newly appointed fashion director Amanda Brooks. Next up, coffee and croissants with Nina Garcia of Marie Claire, also best-selling author and new mother. We chatted about everything from Project Runway, to the importance of family. Another major highlight that forever changed my world, was the intimate tour of Oscar De La Renta’s studio and office, just days before his show. The legendary designer spoke about his International business, launch of his new fragrance, as well as what the world would be seeing walking down his runway this season. Seeing his staff stitch each sequin, steam each seam, cut fringe from fabrics was beyond surreal! Next up, a dinner date with Ken Downing: Fashion Director of Neiman Marcus (and his amazing team)! Ken’s impeccable eye is responsible for all of the Women’s fashion that is housed by Neiman Marcus. We discussed everything from how YSL invented the Rive Gauche era to Ken’s favorite craft essential (his glue gun)! P.S – we even watched Erin Fetherston and Suno‘s presentations together the following day! Winding down the week with shows by Tory Burch and a day of denim with Madewell (where I got an amazing leopard mani) was just what the fashion doctor ordered! P.S.- THIS NEW YORK FASHION WEEK WAS PHENOMENAL! MAJOR THANK YOU/SHOUT OUT TO RICH TONG, TUMBLR, AND MILK/MAC FOR PUTTING TOGETHER A TRULY INCREDIBLE WEEK! 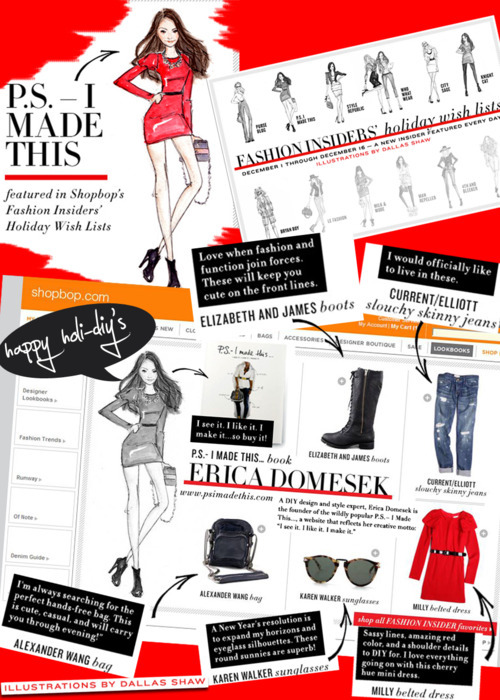 P.S.- This Holiday season, I’m excited to be apart of ShopBop.com’s Fashion Insider Feature. I cruised the newest collections and picked my favorite must-have items! The talented Dallas Shaw, artist/illustrator and Fashion’s go-to girl for wonderful watercolors, PS’ed a portrait of ME and 11 of my fellow friends. WhoWhatWear, StyleRepublic, ManRepeller, BryanBoy, PurseBlog, LeFashion, and more! Check out my FAVORITE 5 things to eat, watch, listen, and play over the holidays. P.S.- I headed over to the Etsy headquarters in Dumbo, Brooklyn for an evening of fun fringe scarves, a signature project from my book! Guest reused, repurposed and reinvented their own t-shirts into the ultimate accessory. 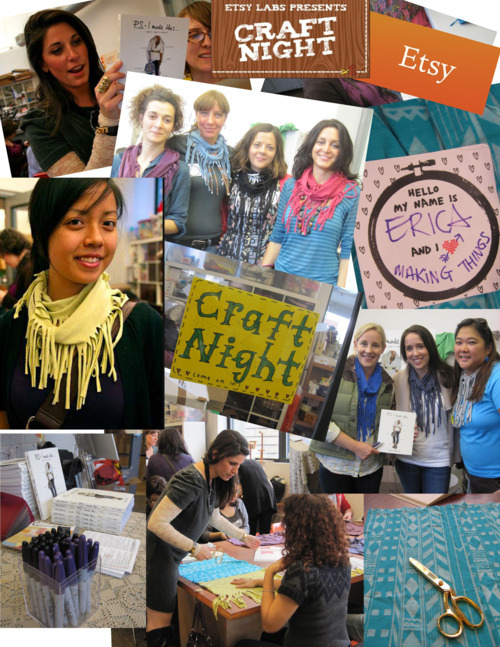 The night of DIY included an exclusive tour of the Etsy craft lab, as well as a live web-cast of the fridge scarf tutorial to tons of Etsy followers! 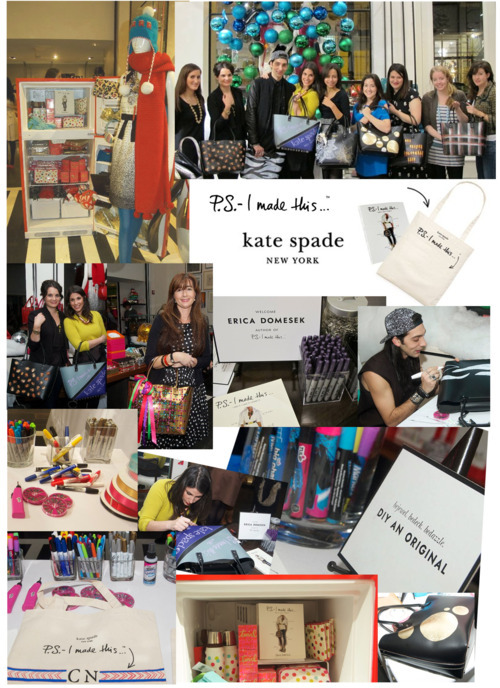 P.S.- Check out a few pics from the P.S I made this… with Kate Spade Holiday DIY Event, which took place at their Broome Street NYC Store. We were joined by our fellow crafty friends from Fashionista, Lonny Magazine, Design Sponge, Style Republic, as well as Andrew Mukamal. Each came ready to craft the night away as these fab five were each given their own Kate Spade London Tote to DIY as they wished. Also on hand to create some crafty magic was Kate Spade’s own Chief Creative Officer, the fabulous Deborah Lloyd. 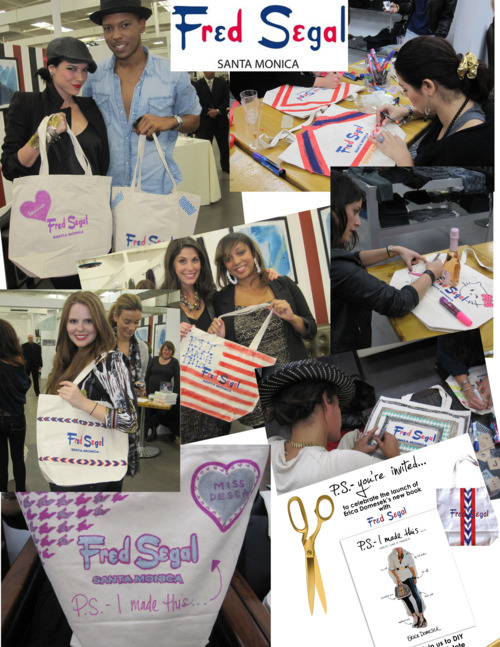 In addition, our super creative fans were P.S.’ing their own cute Kate Spade Totes. Check out more pics on our Facebook Fan Page or on Kate Spades “Behind the Curtain” feature. P.S.- In celebration of my newly released DIY style guide, one of my favorite designers (who is also featured throughout the book) hosted a soiree in both of our hometowns of Philadelphia. Friends, family and loyal fans sipped crafty cocktails, shopped the latest Tory Burch Collection and danced the night away! It was an honor to have Tory Burch support and be a part of this fabulous event! P.S.- Where were you on Fashions Night Out? We were hanging with Teen Vogue at their Asos.com FNO Block Party in the West Village of NYC.P.S.- I Made This… crafted an amazing DIY dream with TONS of products from ilovetocreate.com. Everyone painted, studded, stenciled, and got their graffiti on using cool canvas messenger bags and the limited edition Asos.com/Teen Vogue Tees.Erica was also on hand with her NEW Book- P.S.- I Made This… Signing copies and DIY’in all night! 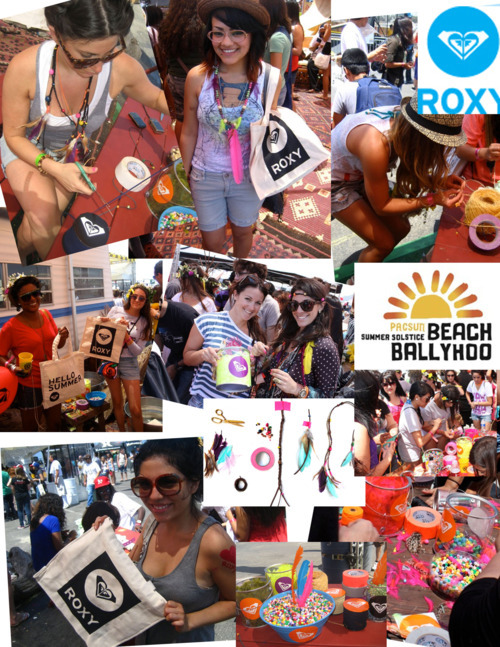 P.S.- This summer Pac Sun hosted the 1st ever Beach Ballyhoo with Roxy in California at the legendary Santa Monica Pier. Over 30,000 attended the two-day festival full of music, extreme sports and lots of DIY! During the 2 day event, Roxy and I invited guests to create Boho inspired hairpieces and necklaces made from rawhide string, frilly feathers and bright beads. Everyone got creative while braiding by the beach and getting crafty in the sand! P.S.- DIY is just another way to live greener! In celebration of the new Dasani Plant Bottle, which is 100% recyclable and made up of 30% plant based matter, I created a limited edition green hat. Inspired by the green cap of the bottle, I was led to create a limited edition green beanie. Nicole Richie and I hosted a DIY event in LA where guests customized their own versions of this fashion forward hat. In NY, we partnered with the Art of Elysium and “P.S.-ed” hats at the annual Bright Lights Event at Milk Studios. Guests included Anna Wintour, Donatella Versace, Russell Simmons and more. Everyone worked together to craft and customize trés chic hats. I couldn’t think of a better way to celebrate Earth Month! Go Green! P.S.- During February 2010 New York Fashion Week, I joined forces with Helmut Lang to celebrate the launch of their spring collection. Using super soft leathers and signature denim of the Helmut Lang line, I created a capsule collection of one-of-a-kind accessories. The accessories accompanied the Helmut Lang dedicated windows which were showcased in Bloomingdale’s Flagship NYC store throughout the entire week. Inside, guests were asked to create their own versions of the denim and leather accessories while browsing and buying from Helmut Lang’s amazing Spring Pieces. The result…fun, fierce DIY! Click here to check out Modelina.com’s coverage of the evening.